As the year progresses, we are seeing a definite uptick in the interest in merger & acquisition transactions within the green industry, particularly in the landscape maintenance segment. Whether that will translate into more actual transactions remains to be seen, but we do expect 2013 to be a stronger year than 2012 and 2014 to be stronger yet, but still below the high level of activity a number of years ago. This month, we focus on the impact on the M&A market of reports that Leonard Green and Partners, the majority owner of The Brickman Group, is putting Brickman on the market. While this move has been anticipated, it still has the potential to shuffle the playing field and to test the interest level of private equity in the industry. Read below and then standby to see what happens. We are also following the situation at ServiceMaster which is facing a series of challenges with its TruGreen brand. ServiceMaster has been a major part of the lawn care merger & acquisition market for a number of years. With their activity very limited, there has not been much action in the lawncare industry segment this year – at least so far. Leonard Green and Partners LP, a Los Angeles-based private equity firm, is pursuing a sale of The Brickman Group according to a report published by Reuters. The report indicated that two investment banking firms, Barclays and Morgan Stanley, have been engaged to conduct an auction for the business. The report has not been confirmed by Leonard Green, Brickman or either of the two investment banking firms, but seems to confirm widespread speculation that Brickman would soon be sold. Leonard Green acquired its majority stake in Brickman in January 2007 in a recapitalization which also took out a former private equity investor in Brickman, CIVC Partners of Chicago. A new CEO was named last year replacing long-time CEO Scott Brickman (who remains chairman). Andrew Kerin, Brickman’s new CEO, was previously a senior executive of Aramark, a private equity-backed facilities services company. The addition of Kerin led to apparently unsupported speculation that Brickman might be acquired by Aramark. The appointment of the new CEO was seen at the time by many as a part of a strategy to prepare Brickman for an eventual sale, which seemed reasonable, especially given the length of time that Leonard Green has held its investment in Brickman. There are, of course, a wide range of potential buyers for Brickman. They include another private equity firm in a “flip” transaction, another financial buyer and a large facilities services company.  A facilities service company might be seeking to add landscape services to their portfolio of services or increase an existing landscape services business. While not impossible, it seems unlikely that another landscape services company would be likely to pursue such an acquisition. It is difficult to assess what impact a sale of Brickman might have on the overall landscape services merger and acquisition market. None of the three largest landscape services companies in the US market have completed any publicly announced acquisition transactions in the last two years. ValleyCrest is controlled by MSD Capital, in turn controlled by Michael Dell. Dell is currently involved in an attempted buyout of Dell Inc., the world’s number three computer company which he founded and serves as chairman. TruGreen Landcare was itself acquired by the private equity firm Aurora Resurgence in 2011. The Davey Tree Expert Company is the only one of the top landscape services companies to be active in the acquisition markets recently, having completed acquisitions in Illinois, Minnesota and North Carolina during 2012 and 2013. It seems unlikely that the possible sale of Brickman will have much impact on the overall M&A market anytime soon. However, it is possible that a buyer might want to move to fill out Brickman’s network in the relatively few markets in which it may be perceived to be weak. It is also possible that opportunities might arise as a buyer acts to integrate Brickman’s operations into its own. No matter what ultimately happens with Brickman, other players in the fiercely competitive landscape services industry will no doubt be seeking opportunities to exploit the situation with both customers and employees. In addition, the attention given to a large transaction like this is likely to focus investor attention on the landscape services industry, especially if Brickman is able to command a high valuation. Other private equity firms may focus their attention on other opportunities in the industry which could be a catalyst for a higher level of merger & acquisition transactions in the future. ServiceMaster reported its earnings for the second quarter of 2013 on August 14, including results for its TruGreen Lawncare brand. TruGreen’s revenues decreased 12.4% during the quarter compared to the prior year. The decrease in revenues for TruGreen was attributed by the Company to a 6.3% decline in residential full program customer counts, inefficiencies in service delivery caused , in part, by integration issues with newly implemented technology and a decrease in revenues from commercial customers. The Company briefly discussed its plans to address its operational challenges. ServiceMaster also completed an impairment analysis which resulted in an impairment charge of $673.3 million to reduce the carrying value of goodwill on TruGreen’s books. During the six months ended June 30, 2013, TruGreen had minimal acquisition activity compared to prior years. ServiceMaster’s 10-Q for the quarter did include the following statement: “The Company expects to continue its tuck-in acquisition program at levels consistent with prior periods.” Over the past two years, ServiceMaster’s acquisition activity has focused much more on the Terminix brand than TruGreen. TruGreen’s president David Alexander joined the Company in December 2012. ServiceMaster’s CEO joined the Company in June 2013. TruGreen’s acquisition activity has been an important part of the overall lawncare acquisition market in recent years. Its absence this year is an indication that merger & acquisition activity in this segment of the green industry is much lower than in past years. There are three levels of participation in Green Exit University.